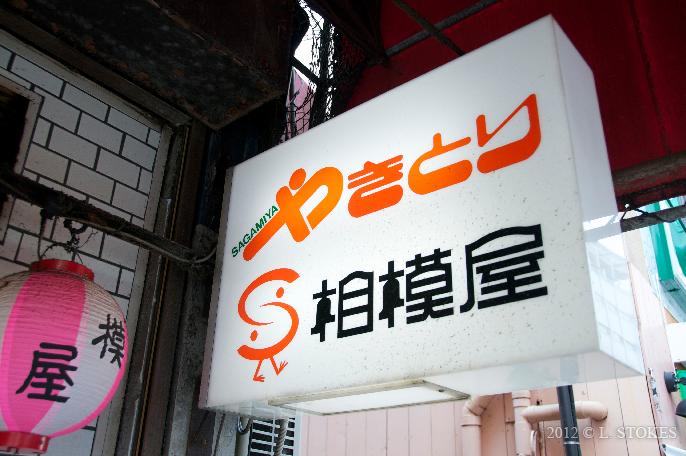 We’re not going to make it too easy for you to find but if you can find this sign in downtown Yokosuka, you’ve found a treat indeed. 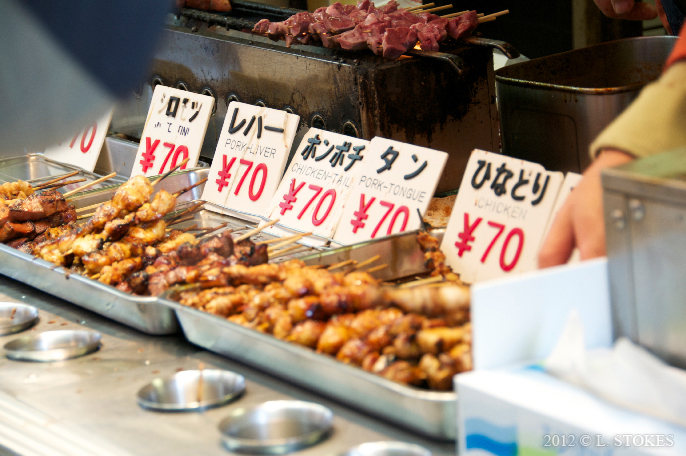 This 焼き鳥 (yak-key-tor-ry/grilled chicken) stand has been here since my wife has been a child and it is at the top of our list whenever we return to Yokosuka. For her, its sentimental value is priceless. For me, it’s enjoying something that is precious to her. 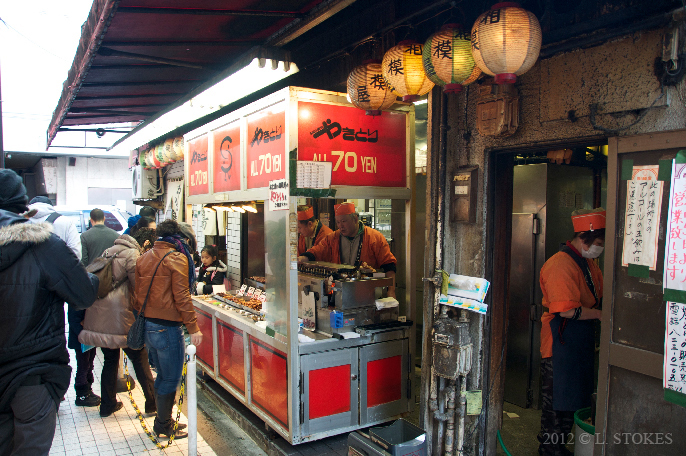 This chicken skewer stand is always busy when we visit. There are no seats and if it’s busy you just wait your turn. You can order a to go box or eat them right there (our preference). It’s a snack stand. Pick a skewer, eat it, place the stick in one of several cups (that are for your used sticks only), and once you’re done bring your cup or your sticks to the cashier to tally you out. It’s cash only and if you want a drink afterwards there’s a vending machine a few steps away. 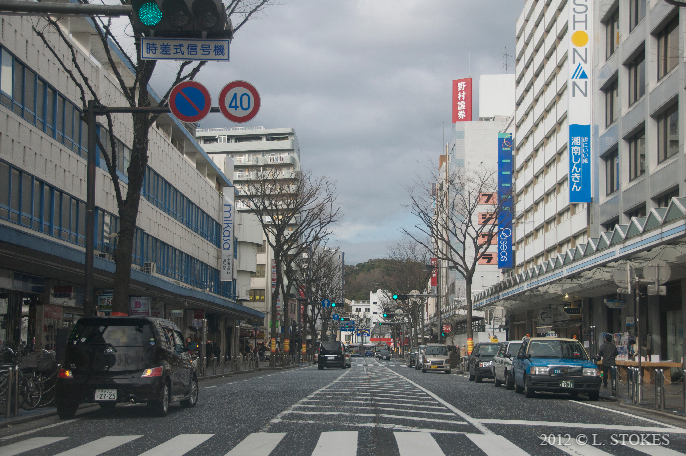 Yokosuka is a port city that sits in the Tokyo bay but is actually a ways south of Tokyo. 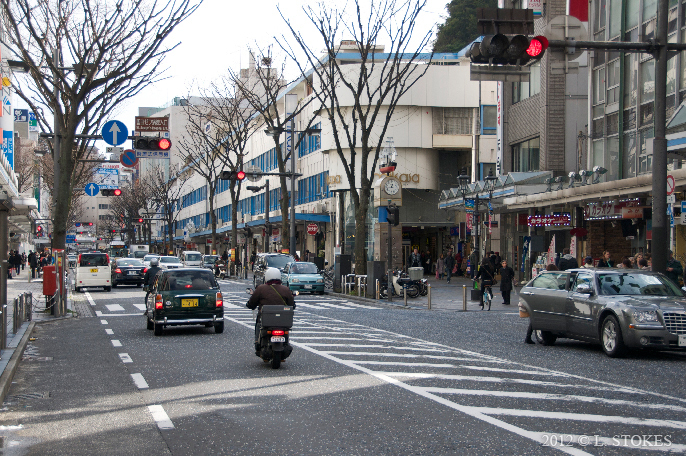 Yokosuka is also host to a US Navy base and their civilian families. 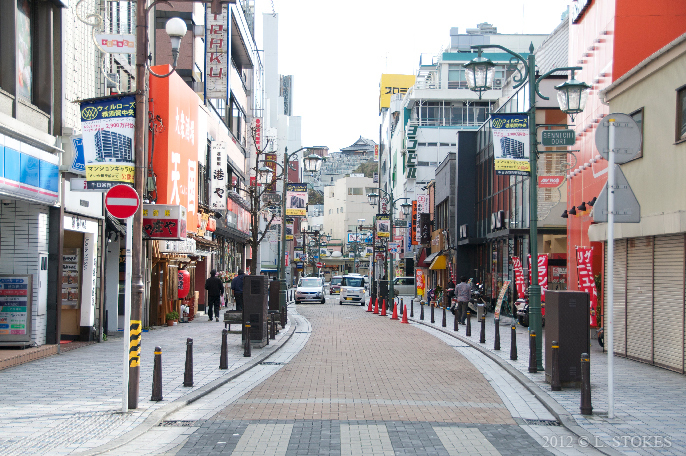 While most Americans, enlisted and civilian, live on the base or close to it, everyone ventures off to explore the downtown area. If you’re feeling a little homesick and want to see more people who look like you (a foreigner) go downtown. The other way, after crossing the street, again. We’ve given directions or suggestions a few times to fellow travelers looking to get the inside scoop on local eats or… the mall. Production Blog #7: Our 1st Casting Session! So a week or so ago we had our first casting session! With over 300 submissions we managed to schedule 22 actors for parts in our film. 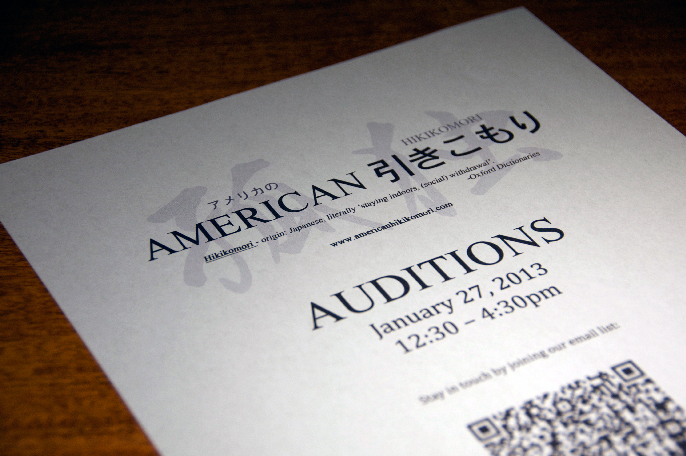 Twenty-two actors and actresses were invited to our small audition in Hollywood and, overall, we were pleased with the turn out and performances. I was, at first, nervous but then immediately excited to watch certain scenes from our story come to life. To me, it’s always surreal listening and watching something I wrote come to life. We think we may have to do a follow up session (also known as “Call Backs”) to see certain actors along with some fresh potentials but I really can’t complain so far. We’re already prepping for the next round and I can’t wait to see who we get the next time around! Author hikikomori78Posted on February 10, 2013 February 6, 2013 Categories Film, Hikikomori, Japan, UncategorizedTags actress, american, dogs, gift, hikikomori, Hollywood, independent, isolation, japanese, LA Eiga Fest, loneliness movie, mitsuwa, short film, tenugui, YokosukaLeave a comment on Production Blog #7: Our 1st Casting Session! Yup! We’re still prepping and don’t have any major announcements, yet. Off the main roads are dozens of sides streets lined with shops. I haven’t been to France, yet, and I couldn’t tell you if I’ve had genuine French Cuisine before or not but this restaurant was awesome. 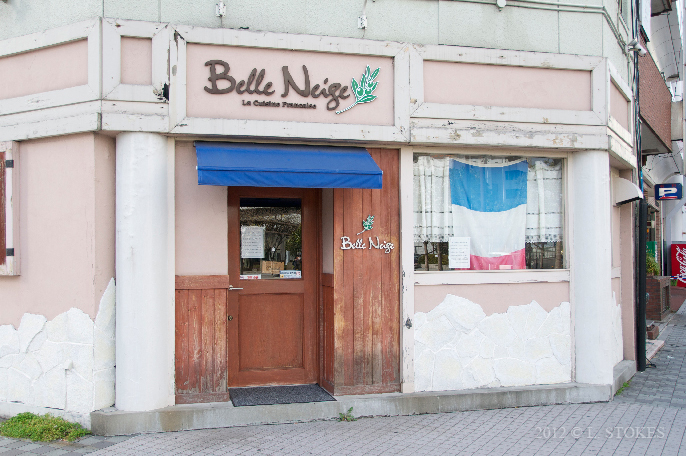 French Cuisine in Downtown Yokosuka, almost off the beaten track. Again, I was too busy stuffing my face to take pictures of the food. And I didn’t want to draw any more attention to myself than I already had for being a 外人. Pronounced – guy-jin meaning foreigner. We initially flew back to Japan because my wife’s Grandfather became really ill earlier in the year and everyone thought he wouldn’t make it to New Years. I’m happy to report that not only did he recover, but he’s become a lot stronger than doctors expected him to be. To celebrate his recovery and our visit, he treated us to dinner here. I took this picture the next day when we were running errands nearby. We had a seven course meal that included beautiful dishes with names I couldn’t begin to pronounce correctly and it was all very tasty. Grandpa discovered this place doing some of his own errands years ago and was drawn in by a busy lunch crowd. To this day, lunch is usually when this restaurant is packed. If you’re ever looking to check it out just remember, it’s all gourmet French Cuisine but they only speak Japanese. I only had to bow and eat.